Donuts, Go Nuts! 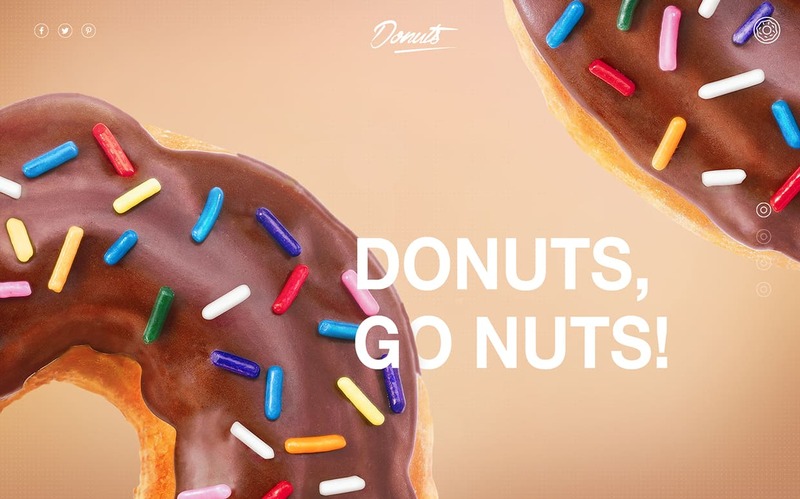 Digital Designer – Florian Pollet’s Donuts Webdesign will make you crave for Donuts. 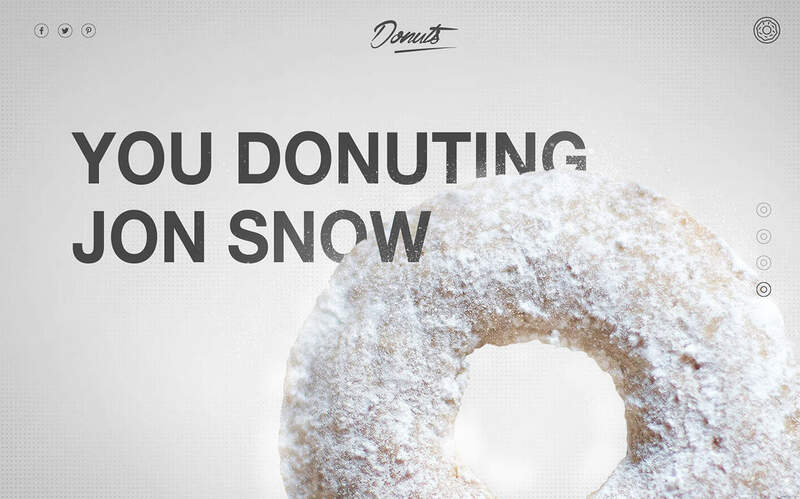 Florian’s donuts web design is a personal project to improve his skills. He wanted to play with gradients and colour matching. Now, let’s see his designs! 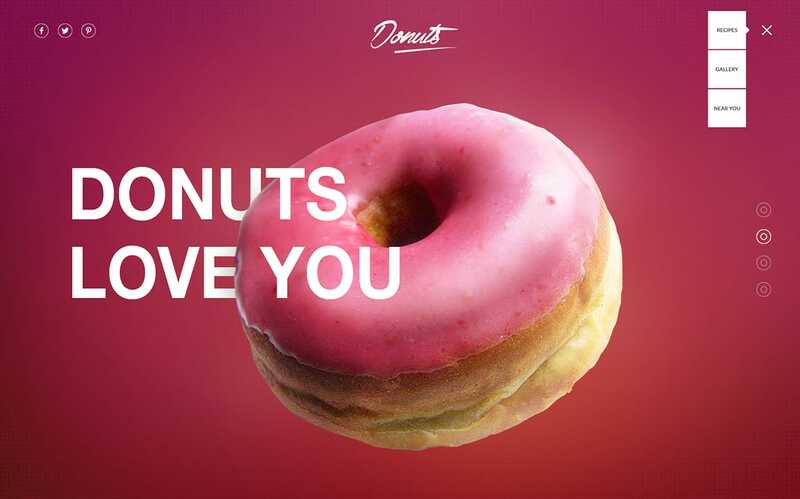 My Donuts web design project is a personal project I started to practice gradients and colour matching. Working on personal projects allow me to experiment more original styles and ideas, and it’s always a lot of fun! And since I wanted to design something colourful the donuts were an obvious choice, they are often very creative and colourful themselves. Instead of trying to mix and several colours at once I decided to design each page around one dominant colour. I think the dominance of the background color in combination with the image of a donut in the same hue creates a highly visual effect. It’s also balancing the white bold text and the logo. I wanted the navigation to be light and minimalist to not drag too much attention on itself to the detriment of the donut and to bring some kind of elegance in the page. I also designed a custom menu icon in the shape of a donut, a classic hamburger didn’t make sense to me on this project obviously. I believe in highly coloured and visually impacting webdesigns and I like to take time to work on the background textures or gradients as well as outlining and retouching the photos used to create a really personal and creative result. Don’t you hate it when you recognise the same generic photo in several websites? Tobias Van Schnieder, Rolf A. Jensen and Brijan Powell are massive inspirations to me. I also really like Ars Thanea‘s works. Designing digital projects, you have to follow a lot of rules and have a lot of constraints. You have to keep a logical state of mind when you’re working on the UX or the UI of a website but you also have to have fun and experiment unusual and visually different designs. If you’re not designing with passion how do you expect the users to be emotionally connected to your design? Florian Pollet is a 21-year-old French digital designer working in London. He studied visual communication in a small school in the south of France. He has learned to work in different fields of creation such as graphic design, branding, motion design or digital design. The last one became by far his favourite but it’s always useful to have some knowledge of the others. On his last year, he did an internship in London with the Erasmus program and decided to stay there afterwards. So here he is, starting his own career as a digital designer working on a startup in a 5 person team and loving it. See more of his work on Behance.